. يعمل Manapouri Lakeview Motor Inn على ضمان إقامة مريحة لضيوفه من خلال خدماته الممتازة وحسن ضيافته. يقدم الفندق فرصة للاستمتاع بشريحة واسعة من الخدمات بما فيها: واي فاي مجاني في جميع الغرف, مرافق مخصصة لذوي الاحتياجات الخاصة, واي فاي في المناطق العامة, صف السيارات, خدمة الغرف . تتضمن كل غرف النزلاء وسائل الراحة والتسلية المصممة خصيصاً لضمان الراحة القصوى للضيوف. كما أن مجموعة الخدمات الواسعة الموجودة في الفندق لضمان راحتك تترك لك الكثير من الخيارات لقضاء وقتك أثناء فترة إقامتك. 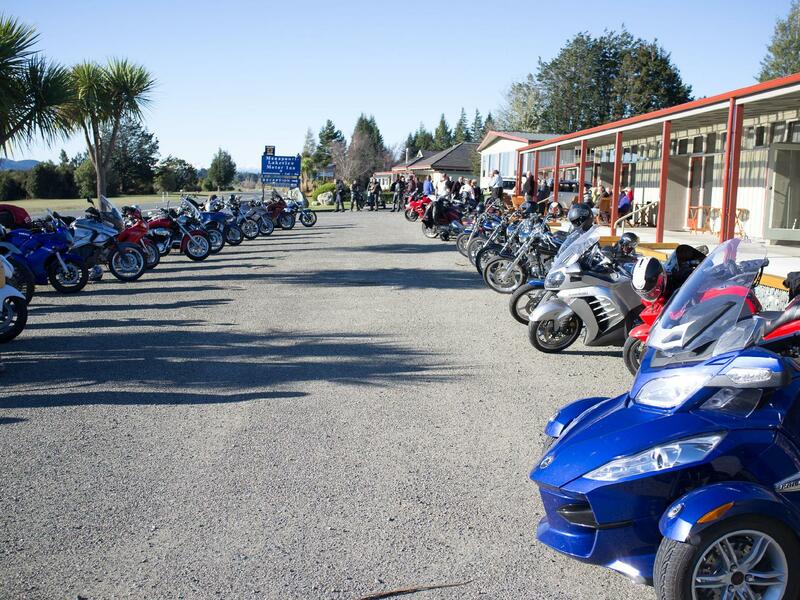 إن Manapouri Lakeview Motor Inn هو مكان مثالي للمسافرين الذين يتطلعون إلى الراحة والاستجمام في مانابورى. 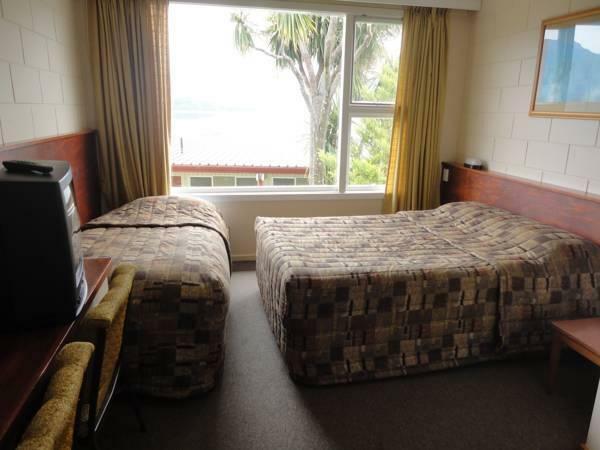 When I booked this motel I wanted somewhere near to "real journeys" as I had booked a trip with them on line for doubtful sound. This is close too it. Short drive or 20-30 minute walk. I was nearly put off using this motel as there were some bad reviews, I don't know what they were complaining about. I guess it must be what you are used too. There is servicing of the rooms if you require it but you pay more for it. We had a budget room with no servicing. Perfect for us. Great view of the lake. You can take your own food and use a communal kitchen if you like, or you can use their restaurant/bar which is on site. There is also another restaurant along the road. Te Anau is also not far away and has great souvenirs. Both receptionists we saw were helpful. The shower in our room was great, good pressure and hot as you want. Room was basic but as we had expected. There is a fridge, kettle and hair dryer if needed. We enjoyed our stay. Thank you to all staff. Stayed one night. Accommodation expensive in this area. Clean, comfortable, views from almost every room, shared kitchen at top of property if you want to cook. I stayed one night and walked 10 minutes into town for dinner at The Church which was also excellent. Our room had sanitary dating cold war era. Kitchen is common, but in reality a joke compared to number of rooms. View was from small window giving on roof of front line rooms, noisy ++++, no isolation. Only if for a night stay, and having no option.... we unfortunately were for 3. Worst experience during our stay in NZ, where standards are pretty good. Very basic. And that I slipped stepping on a rubber bath mat place with th wrong side down spoiled my impression of the place. 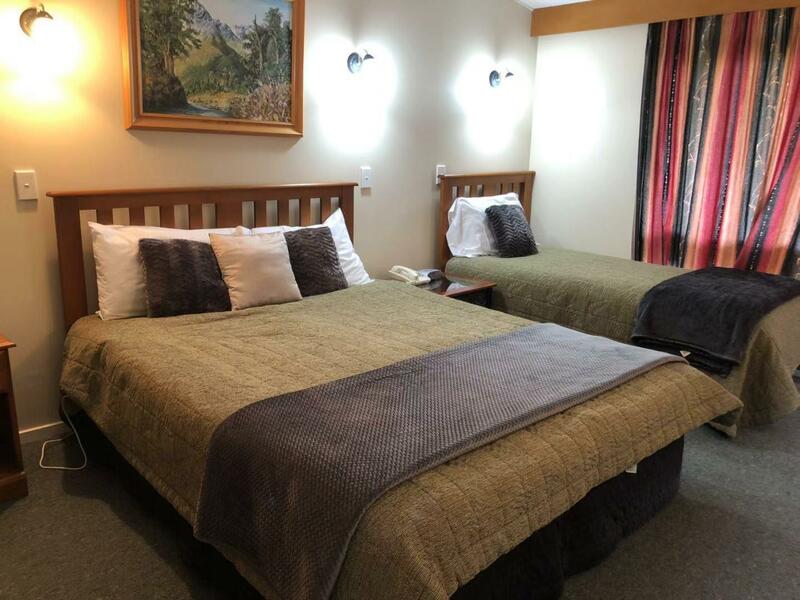 It is a decent place for short stay and connecting to overnight cruise for Doubtful Sound (which you shld not missed). There is limited choice for meals (but walking distance from Motor Inn) and common kitchen and laundry room are avail for guests who need it. The room comes with its own heater so for ppl that prefer to have a warmer room will be delighted. Free parking is also avail. I am staying in such a hotel environment for the first time. So i have a thing in my mind when i think about this hotel. A cool pub nearby, talkative staff girls, kitchen is shared, bedroom and toilet is small but clean, nice location, i love this place. will definitely go back if i get a chance. We enjoyed our stay at Lakeview motor inn. Wonderful views of Lake Manapouri. Shared kitchen was spartan on equipment if you wanted to self cater. Rooms were good though & staff helpful. Restaurant & bar onsite but we didn't use. We ordered a packed lunch which was ok but we wished we had made our own. This place was the pits. Comfortable and enjoyable. Walking distance to the bar where a nice meal was served was a bonus. Very pleasant with great views across the lake. The staff were extreme helpful and friendly. Great location.